Salmon Rose (4) salmon sashimi topper w/tobiko. 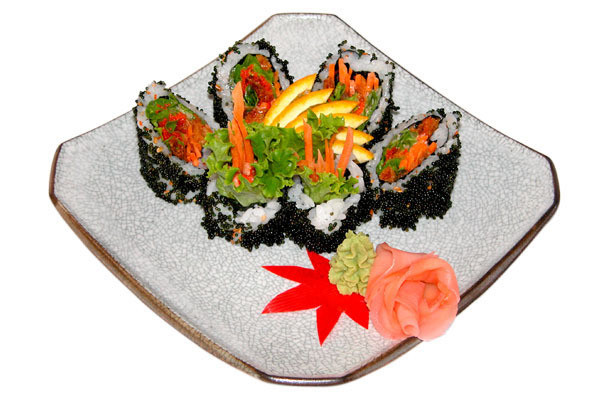 Black Dynamite Roll (6) salmon skin, carriot, lettuce, massago, black tobiko & spicy mayonnaise. 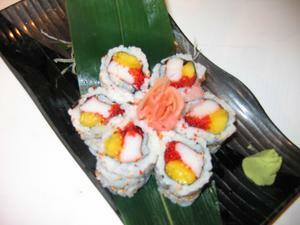 Hawaii Roll (6) mango, crabmeat & tobiko. Veggie Roll (6) lettuce, pickle radish, cucumber & carrot. 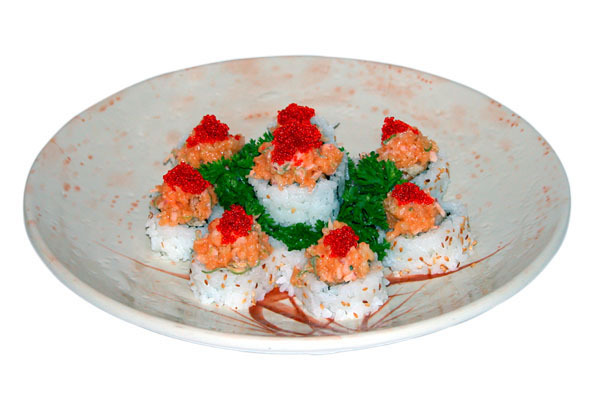 Boston Roll (6) salmon, avocado, tobiko & green onion. 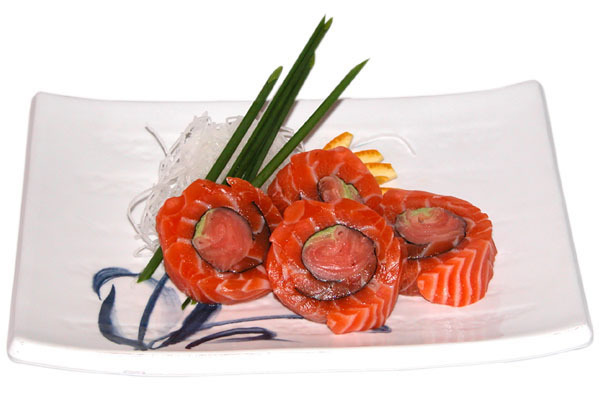 Philadelphia Roll (6) smoke salmon, cream cheese & cucumber. Chicken Teriyaki Roll (6) chicken, cucumber w/teriyaki sauce. Beef Teriyaki Roll (6) beef teriyaki, carrot w/teriyaki sauce. Crispy Roll (6) tobiko, crispy crumb, cucumber w/spicy mayonnaise. 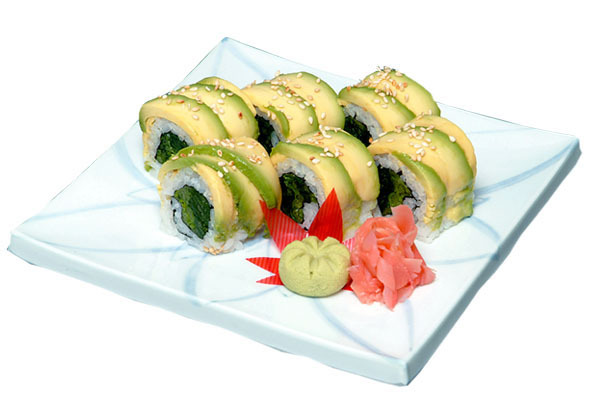 Jade Green Roll (6) avocado on spinach roll w/seasame sauce. 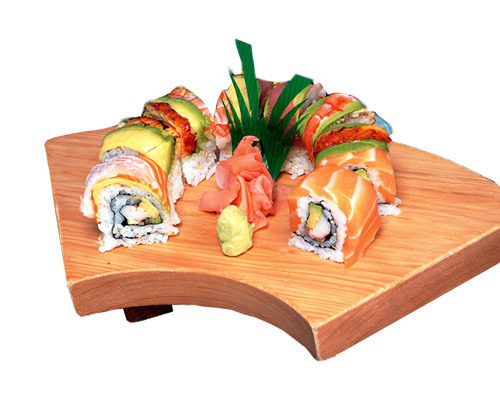 Rainbow Roll (8) jumbo size, tuna, salmon, unagi, shrimp, avocado on top of california roll. Jumbo Unagi Roll (8) jumbo size, bbq eel on california roll. Tempura Roll (4) shrimp tempura, avocado, tobiko w/spicy mayonnaise. 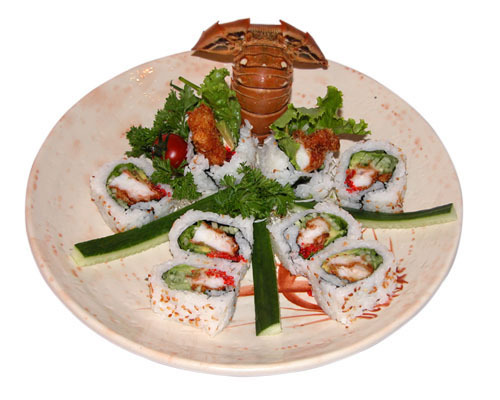 Spider Roll (8) jumbo size, deep fried soft shell crab, cucumber, tobiko w/mayonnaise. 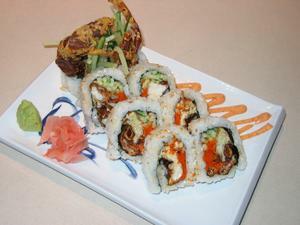 Dragon Roll (8) jumbo size, 2-shrimp tempura, bbq eel, & tobiko w/unagi sauce. 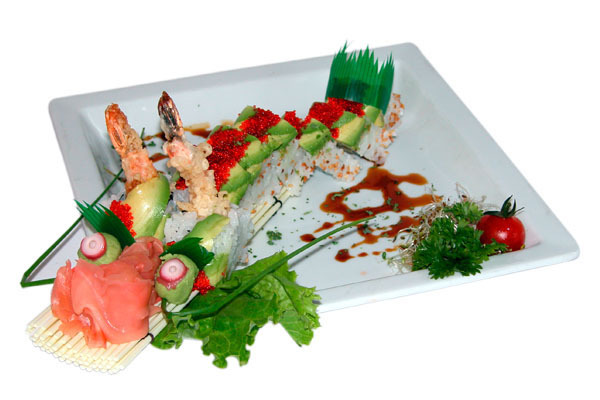 Rock'N Roll (4) shrimp tempura, tobiko, avocado, crabmeat & cucumber w/unagi sauce. 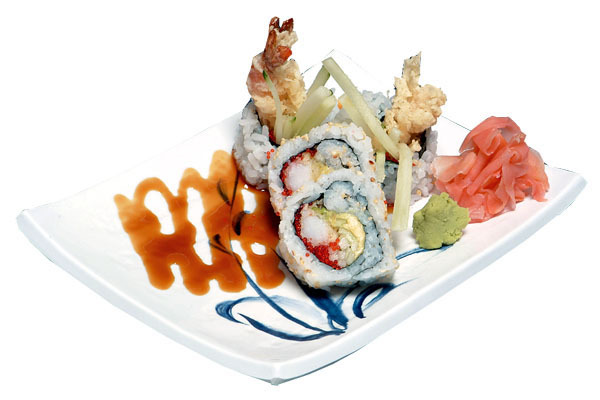 Koganei Roll (8) jumbo size, 2-shrimp tempura, deep fried hamachi, onion & tobiko w/spicy mayonnaise. Salad Roll (6) cucumber, avocado, wakame & tobiko w/salad dressing. 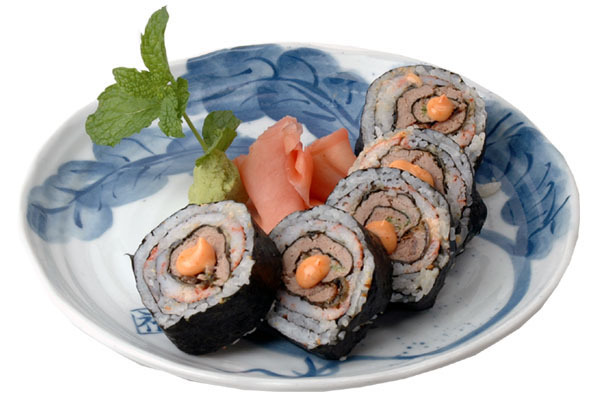 Alsaka King Roll (6) alaska king crab, avocado, tobiko & cucumber w/spicy mayonnaise. 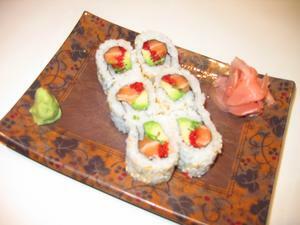 Red Dragon Roll (6) sliced salmon on top of avocado & cucumber roll. Smoke & Fire Roll (4) smoke salmon on shrimp tempura roll. 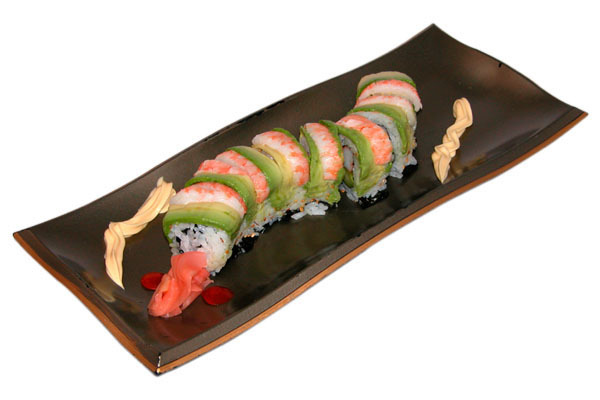 Caterpillar Roll (8) jumbo size, shrimp, avocado on asparagus & crabmeat roll. 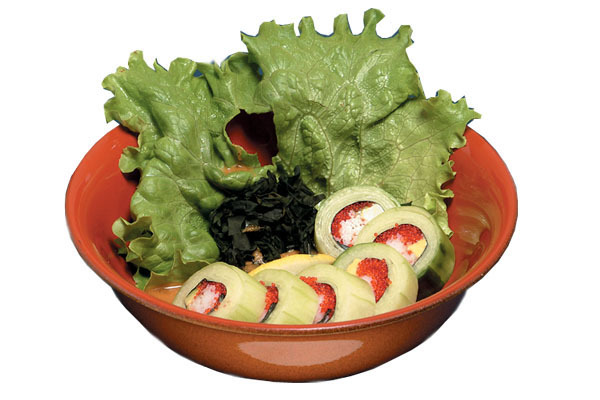 Fuji Snow Roll (4) sweet shrimp, tobiko salad wrapped in thinly sliced cucumber. 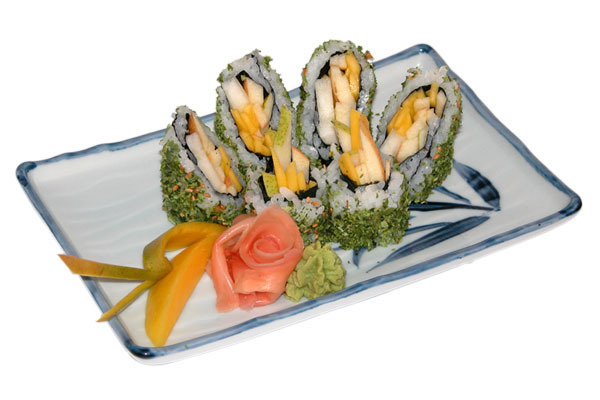 Futo Maki (4) cucumber, egg, pickle and crabmeat. 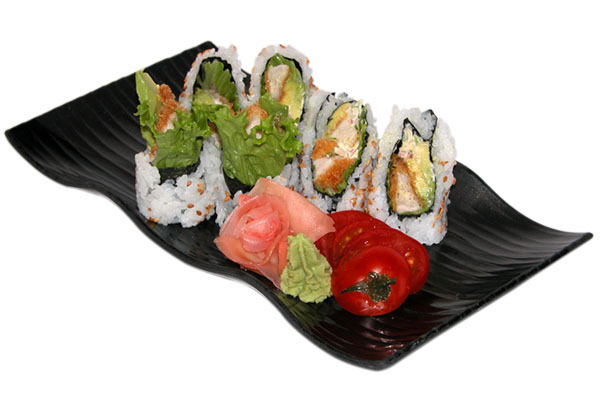 Lobster Roll (8) jumbo size, deep fried lobster, avocado, cucumber, lettuce, tobiko w/mayonnaise. 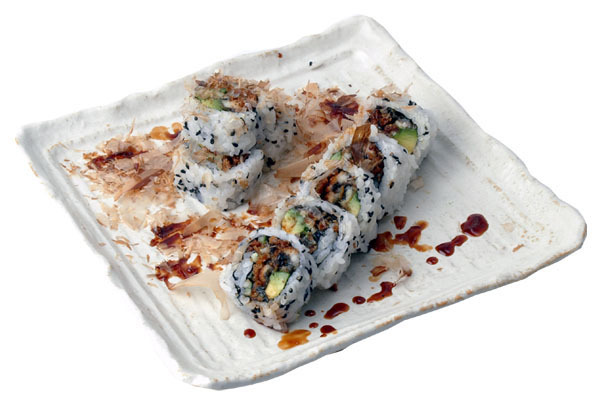 Autumn Roll (8) jumbo size, salmon skin, unagi, avocado, cucumber, dry bonito freak & unagi sauce. TNT Roll (4) pickled ginger & wasabi wrapped in salmon sashimi. 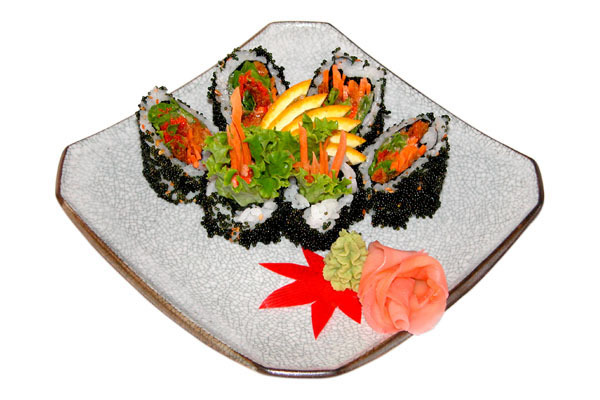 Tropicana Roll (6) three kinds of seasonal fruits w/black seasame & seaweed flake skin. Chirashi Don assorted sashimi on sushi rice. 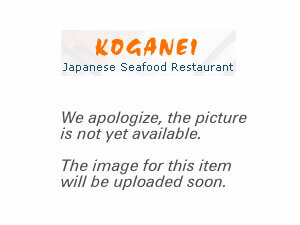 Shima Aji Sashimi whole fish, reserve 1 week in advance.